The problem is that I already knew things would get crazy—you don’t smuggle guns, coke, and Contras in secret and not run into some chaos. But while director Doug Liman tries to give the story an appropriate glaze of the insanity it deserves, it comes off rather routine despite being a film in which a pilot smashes his plane into a suburban neighborhood with his face covered in cocaine. Tom Cruise gives a surprisingly subtle performance considering he’s playing a man who agreed to some really stupid deals. He’s a simple guy with an overworked job as an airline pilot who finds himself attracted to working for the CIA when an agent (Domhnall Gleeson) promises him his own fancy plane if he agrees to take some photos over dangerous Central American territories. Sure, he’ll get shot at, but at least he’ll have his own airplane and his own freelance flying company. He might end up dead, but, hey, he still gets a nice plane. Barry’s wife Lucy (Sarah Wright) senses something is not right. How could a pilot like Barry own his own business? He’s not too bright, he’s a little cocky, and he’s a bit of a pushover. When Barry asks his CIA contact for more money for his growing family, he is ignored. When he is cornered by Central American cartels to run drugs into the country, Barry just smiles and goes along with it. He is trapped into agreeing with both of them—the CIA can throw him in prison, and the cartels can kill him. They also know how to placate him just enough to keep doing jobs for them, the CIA maintaining his business and the cartels keeping him rolling in money. Naturally, Barry is too blinded by his success to be bothered with the obvious result of such a dangerous lifestyle. This leads to the inevitable montage in which he details the specifics of his operation as he tries to launder his money in a small Arizona town and hide it everywhere around the house. He becomes increasingly overworked as the CIA now wants him to transport Contras and the cartels demand larger loads of cocaine to be delivered. He dashes from payphone to payphone, his beeper exploding with new jobs. And the plot continues to grow crazy to the point that Barry is investigated and raided by the FBI, ATF, and local police force, all at the same time. By the time he wants to go to prison, it’s too late—the government considers him valuable enough to keep working, but not valuable enough to protect from cartels. This is the type of movie that wants to be both a fascinating tale of a wild life and an infuriating depiction of America’s incompetence in the war on drugs. And yet it never comes off as either because of its brisk nature that never capitalizes on any of the madness. There’s not a single moment for Barry to catch his breath and consider the weight of everything he is doing. He doesn’t boil with any major frustrations or hatred for being so toyed with by both sides. If he’s not emotional about this tough situation, why should we be? Lucy seems to show more concern that her husband decides to up and move the family in the middle of the night, but she still just goes with the flow because she loves him. But why? We never see much of Barry at home, how he interacts with his wife when they’re not gabbing about his career or how he interacts with his kids. Even Scorsese still took brief moments in The Wolf of Wall Street and Goodfellas to better showcase that the flawed protagonist had a family that was deeply affected by the chaotic series of events. I get that Barry’s family didn’t play the biggest role in his schemes, but why even feature them at all? 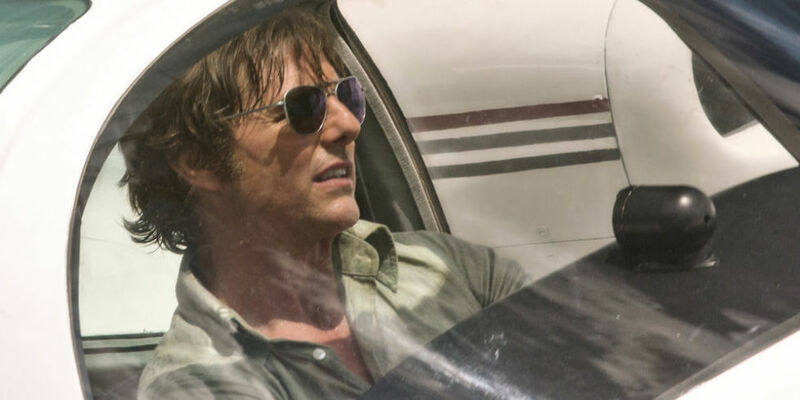 American Made never really settles on a tone or establishes a bite for this material, which could use a swift punch of passion. It’s as if Liman is trying to avoid portraying Barry as anything less than an unfortunate soul who did some crazy stuff—he’s not interested in the why behind his amoral actions that never seem to change on him, even when he is fearing for his life by hiding from the cartels and filming himself with a cackle for working with the greatest country on Earth. 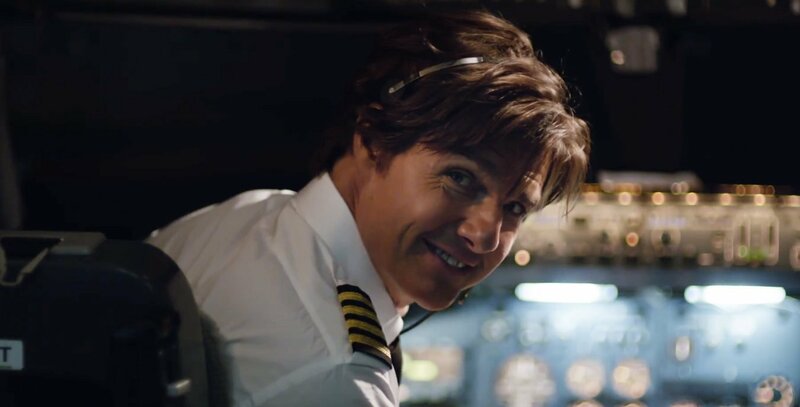 Cruise plays up Barry with so much of that toothy smile and chipper personality that his inevitable fate is met more with odd and quirky cynicism than a meaningful commentary about how gullible he was. Life just goes on and the CIA continues to make more stupid decisions, learning nothing from their time working with him. We don’t really learn anything either, unless you count learning about Liman’s inability to tell a true story with guts and Cruise’s inability to sell a flawed pilot as more tragic than troublesome. Despite the film’s expected ending for what happens to all greedy idiots who get in over their heads, it still wants us to laugh more than we should, turning a would-be psychological tale of shifting ethics into just more mindless entertainment. 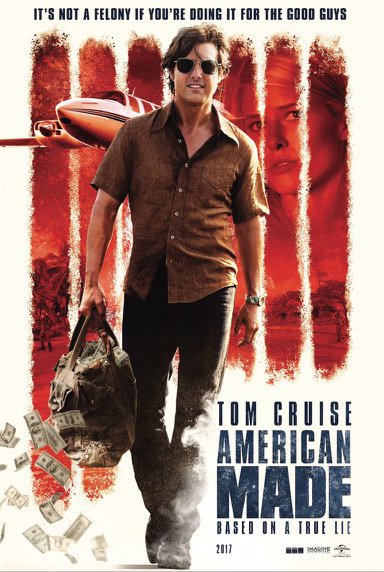 And after so many of these let’s-sell-some-illegal-crap films that all follow the same formula, American Made’s uneven approach feels almost inappropriate at times. We don’t need anymore rise-and-fall films that try to reap laughs from their absurdity in how messed up our government is and how dumb these runners are without saying anything more than, “Wow, wasn’t that crazy?” Yes, it was crazy, but if you don’t have anything else interesting to say about Barry, it’s a story better left to the documentaries.